Those words of wisdom are ones to live by, no more so than any place like politics. Nothing frustrates me more than candidates who only come around at election time to churches, as if all Black people congregate in churches, or contact who they perceive to be community leaders, grease their palms, in order to secure the “Black vote”. Nothing except ELECTED OFFICIALS who ignore the Black communities in their districts until it’s election time again, and they are FINALLY faced with an opponent. Yes, I am talking about Debbie Wasserman Schultz. Representative Wasserman Schultz has been VERY responsive to Aventura constituents. She has been EXTREMELY responsive to Weston constituents. Aventura and Weston aren’t the totality of her district, however. What about the Constituents in Dania? Don’t they deserve the same level of responsiveness? How about Hallandale Beach? Aren’t their concerns just as valid as constituents in Weston? Well you wouldn’t know it by the level of responsiveness these communities actually get from Debbie Wasserman Schultz. 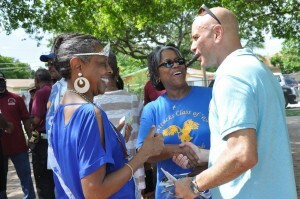 Yes, she was the keynote speaker at a recent Haitian-American Democratic Caucus Luncheon. I’ll bet you dollars to donuts that she never would have accepted had it not been election time. We all know that part of why Tim Canova is running against her is her lack of responsiveness to him (I guarantee you he doesn’t live in Aventura or Weston), but what you may not know is that there was another person who contemplated a run against Wasserman Schultz. Stephanie Anderson, a Black woman, wanted to run against Wasserman Schultz and Wasserman Schultz’s lack of responsiveness played a large role as to why. Anderson was running as NPA. For whatever reason, Stephanie didn’t qualify, but Stephanie lives in Hollywood. Hollywood is another city in CD23 with communities of color that have been forgotten by Debbie Wasserman Schultz. In talking with residents from that district, they realize that she puts more energy into certain zip codes than others, only until now, they never had a choice. They were stuck with her. Now there is a choice. You know what Wasserman Schultz is going to do for the communities of color, and that’s pretty much nothing, so why would you keep someone who you KNOW doesn’t give a rat’s crack about you? When I was discussing that same Haitian-American Luncheon with some people who went there, they told me that everyone was respectful of Wasserman Schultz’s position, and let’s face it, they would be crazy not to be. What rubbed them the wrong way, however, is that she didn’t focus on issues that were important to THEM. She gave a generic speech, posed for pictures, and then beat feet out of there. I spoke to several local and state elected officials, and they all seem to have similar stories: They don’t hear from her. She doesn’t pay any attention to their communities. In short, they feel she doesn’t care about them or their concerns. It’s one thing to have constituents say this. Realistically you can’t get to EVERY constituent in a district, although apparently Wasserman Schultz isn’t getting to any in certain zip codes (Dania, Hollywood, Hallandale, you get the picture). When you have local and state ELECTED OFFICIALS saying it, there is a problem. It’s time to try something new. It’s time to try SOMEONE new. The definition of insanity is doing the same thing over and over, and thinking you are going to get a different result. Wasserman Schultz has shown you who she is. Believe her. Before anyone starts throwing the diversity of the DNC in my face, I’m going to stop you right in your tracks. The diversity at the DNC has more to do with people like Virgie Rollins, the DNC Black Caucus Chair, and others who FOUGHT tooth and nail for diversity. If you don’t know about Virgie Rollins, you better ask somebody, or better yet, read this article on this spectacular woman. I am honored to call her a personal friend of mine. 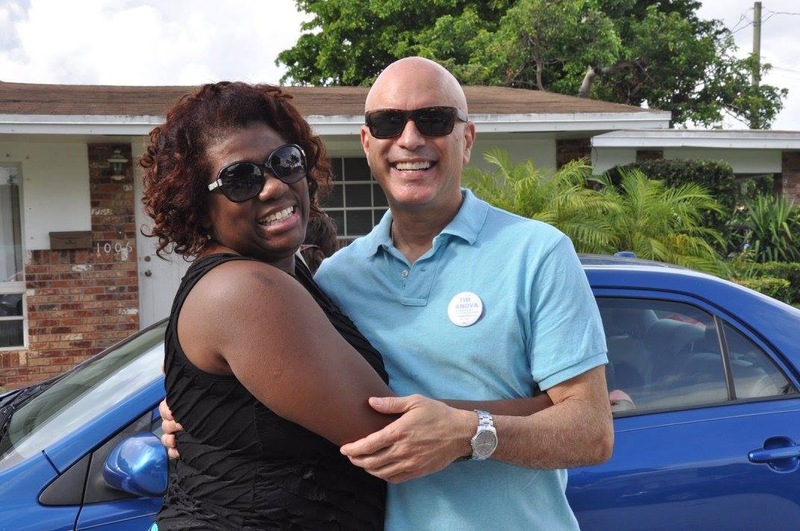 Tim Canova was tired of the way the Payday Loan industry was treating people of color and the poor, so he decided to do something about it. Tim Canova was tired of the private prison industry, that profited off locking up people of color, and contributed immensely to the school to prison pipeline, and decided to do something about it. Tim Canova was tired of the large corporations using their money and influence to buy politicians and determine the costs of our drugs, and the way our elections turned out, so he decided to do something about it. Here’s the thing: He can’t do it alone. If you are sick of the same tired, unappreciative politicians ( cue Debbie Wasserman Schultz), then you HAVE to help Tim Canova to help you. That means getting out there on August 30th, and voting. Vote for change. Vote for someone who isn’t bought by corporations. Vote for someone who isn’t going to ignore you because of where you live. Vote for someone who cares about whether you have access to lower cost drugs, and higher paying jobs. Vote for someone who cares that you are being ripped off by loan sharks. If you plan on voting for someone who meets all of the above criteria, your choice is easy. There is no way in hell you could vote for Debbie Wasserman Schultz. 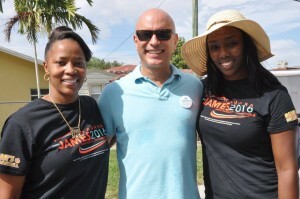 Tim Canova is the only sane choice.